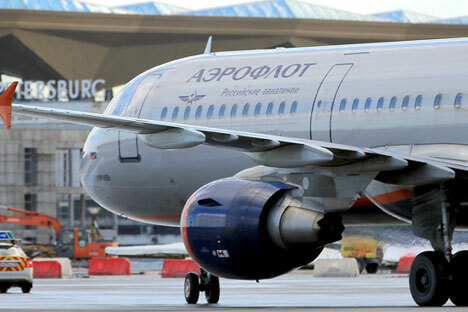 Aeroflot suspended flights from Moscow to Istanbul. Aeroflot - Russian Airlines suspended flights from Moscow to Istanbul after the airport bombing in the Turkish megalopolis. Judging by the online information display of Moscow's Sheremetyevo and Vnukovo airports, flights between Moscow and Istanbul are put on hold. Six flights of Aeroflot and Saudi Arabian Airlines have been cancelled in Sheremetyevo Airport, and two flights to Istanbul have been cancelled in Vnukovo Airport. The information display of Domodedovo Airport does not provide any information regarding cancellation or postponement of flights PC884 and PC885 of the Turkish airline Pegasus on June 29. The Aeroflot flight, which departed for Istanbul from Moscow in the evening of June 28, had to return to Sheremetyevo. Two suicide bombers blew themselves up at Istanbul Ataturk Airport on Tuesday evening. The local authorities said later on that there were actually three suicide bombers. They also said that the terror attack took 36 lives and injured 147 people. Turkish Prime Minister Binali Yildirim believes that the ISIS terrorist organization was behind the attack on Istanbul Ataturk Airport.